It turns out that Claud Cecil Gurney and Kate Moss agreed to work together in the early 2000s when the director of the famous English House de Gournay designed the luxury apartments of supermodel in London. But they still could not meet and get acquainted personally. And now, almost two decades later, it finally happened: de Gournay artists embodied Kate's fantasies on silk canvases hand-painted with silvery colors. The new collection is called Anemones in the Light, and the anemones, by the way, are the very flowers that, according to the Greek legend, sprouted in the land from the tears of Aphrodite to the death of Adonis. This supermodel loves this romantic story, as she likes to observe the appearance and flicker of the rays of light during the day, for example, at a music festival. These slightly "psychedelic" silver rays illuminate the translucent petals of the blossoms. Everything is very thoughtful, not only in terms of color images. At the beginning of the work Kate gave it the name "Twilight": silk cover differently reflects the light depending on the time of day, so your anemone garden on de Gourney wallpaper will not always be daytime. Yes, and the color scheme - like a day, but rather in a monochrome. Inspiration for the color solution Kate was looking for in the bathrooms, which are shown in the films noir. 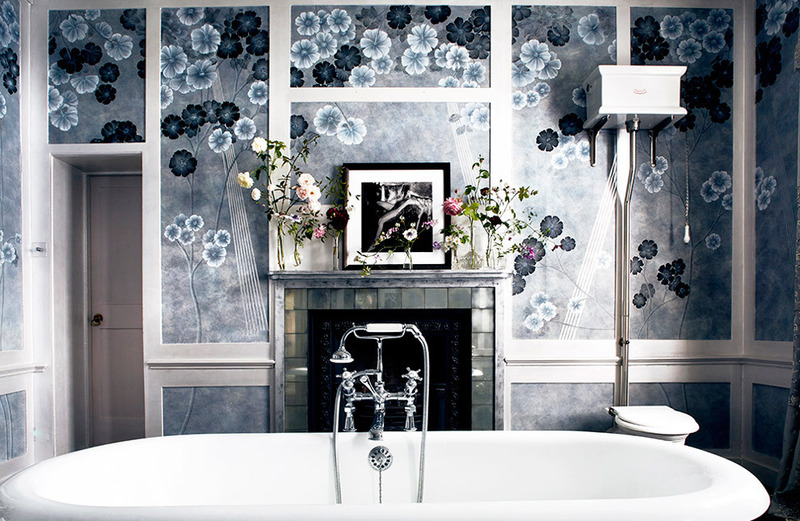 Take with Kate Moss an example and decorate your bathroom with silk panels. 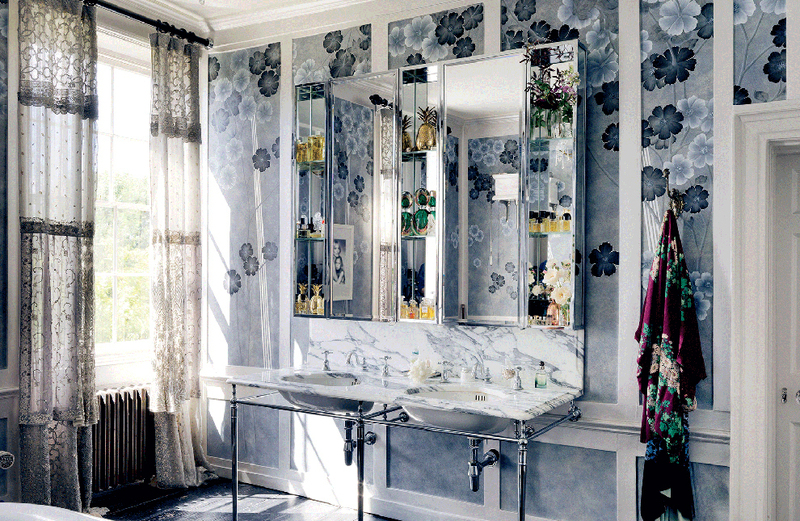 Designs of the model will be included in a permanent collection of wallpaper de Gournay, the prices for which are available on request in salons around the world.